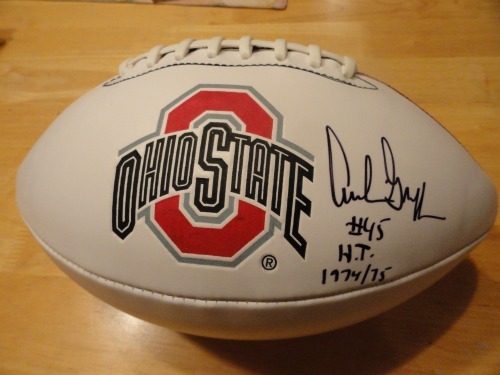 Pay It Forward to Loaves & Fishes and win an archie football, an Official Buckeye jersey or a framed Shoe photo! Stock up for the 16th Annual Food Drive For Loaves and Fishes on November 17, 2017. Loaves and Fishes is a non-profit emergency food program created in 1975 to meet the grocery needs of people in crisis situations in Charlotte. Loaves and Fishes sees its mission as providing a helping hand during an acute crisis, not a hand-out which fosters dependency. Individual donations represent a large source of food donations and funding. Since the Charlotte Buckeyes began supporting Loaves and Fishes in 2003, the club has donated over 2,570 pounds of food and over $3000! The 2018 Food Drive will be at the Maryland gamewatches on November 17th. 1) The person who donates the most items* gets to choose which gift they'd like. Any item less than 10 oz will count as half an item (ex, snack packs). *A $1.00 donation counts as one item. Since it's not easy to carry cases of food to the gamewatch, we will do the shopping for you! Click below to purchase tickets online or make your cash/credit card donation at the Gamewatch. 3) All donors will receive one raffle ticket for every 10 items/dollars they donate. One raffle ticket will be drawn from all contributors for the remaining gift. If the raffle ticket drawn belongs to winner # 1, another raffle ticket will be drawn. 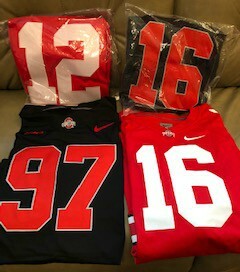 ****If you purchase tickets online, you do NOT have to be at the Maryland gamewatch to win one of the gifts. We will contact you if you either 1) made the largest donation or 2) have your name drawn from all contributors. 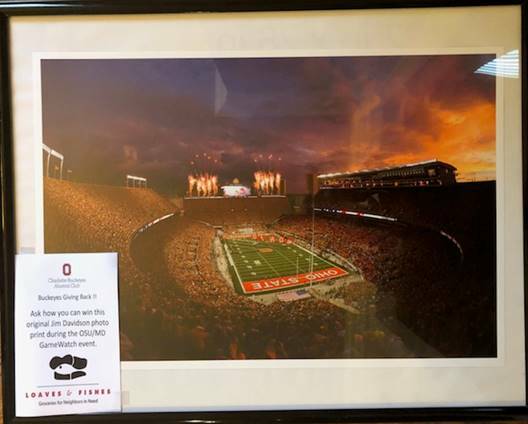 The Archie football and the Buckeye jerseys are the incentive prizes at the Strike City gamewatch; the framed print of The Shoe is the incentive prize at Hickory Tavern for the person who make the largest donation.